Comment: Roof leak needs repair. Roof is only 12 years old. Comment: I have a small leak coming in around a window that has a covered perched over it. Comment: I would like to get an estimate for Recent winds have done further damage to BARN roof and pieces of metal have dislodged from roof or are dangerously attached, Pieces missing exposing interior. Comment: facing missing in some sections and on chimney. Leaxxxx into house. Historical farm house. Comment: Recent winds have done further damage to BARN roof and pieces of metal have dislodged from roof or are dangerously attached, Pieces missing exposing interior. Comment: Recent high winds have loosened several sheets of metal roofing one or more pieces are sitting on roof possibly loose or ill-attached. Barn is near a roadway and railroad track and appears a greater danger. Comment: The recent winds have further loosen the tin on our barn roof and I fear that the pieces still on the roof may break loose and blow over into the road or railroad tracks causing further danger. Piney Flats Roofing Contractors are rated 4.84 out of 5 based on 328 reviews of 12 pros. 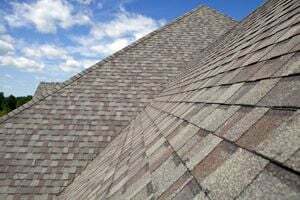 Not Looking for Roofing Contractors in Piney Flats, TN?